Shake It Like an Instagram Picture! 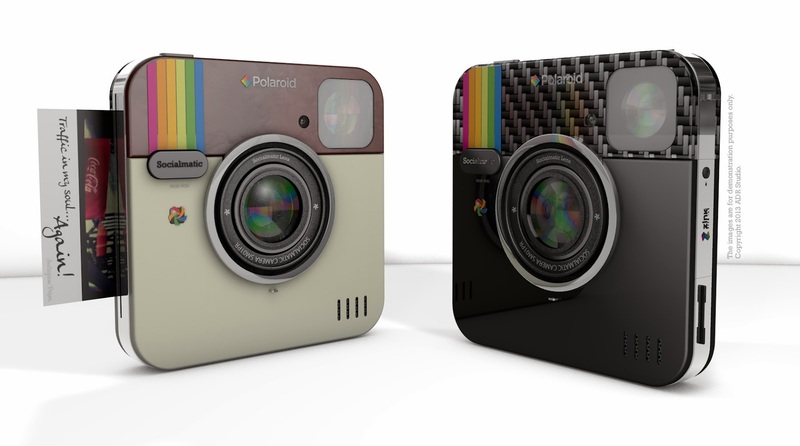 You may recall my post back in 2012 regarding the proposed real-life instagram camera prototype, The Socialmatic? Well since then a whole lot of shaking has been going on, and the fine folks at Polaroid have picked up this project and will actually debut it this fall! The camera which is WiFi compatible will host a 14-megapixel front camera as well as a 2-megapixel rear camera for ‘selfies’. One will be able to print out hard copies of the images as well as post to their media channels through its’ Android blue-tooth powered technology. The Polaroid Socialmatic camera will be on display in the Polaroid Booth #13613 at the 2014 International Consumer Electronics Show happening this week (Jan. 7-10/14) in Las Vegas. Click here for more info. A great idea! But it doesnt look like the easiest thing to hold? Cant wait to see it though! So excited! Must have this! I have a sink printer and love it. This will be even more fun. So cool! I really want this when it debuts.